Soup is one of those satisfying, easy-to-make deals. Freeze it in batches and you've got a quick answer to that what's-for-dinner dilemma we all face after a long day at the office. My love affair with black bean soup began one chilly October night back in South Salem, NY. Nancy and Ted Preizler had invited a house full of young kids--all friends of their sons Ryan and Scott--plus assorted parents. Birthday? Early Halloween? I don't remember. 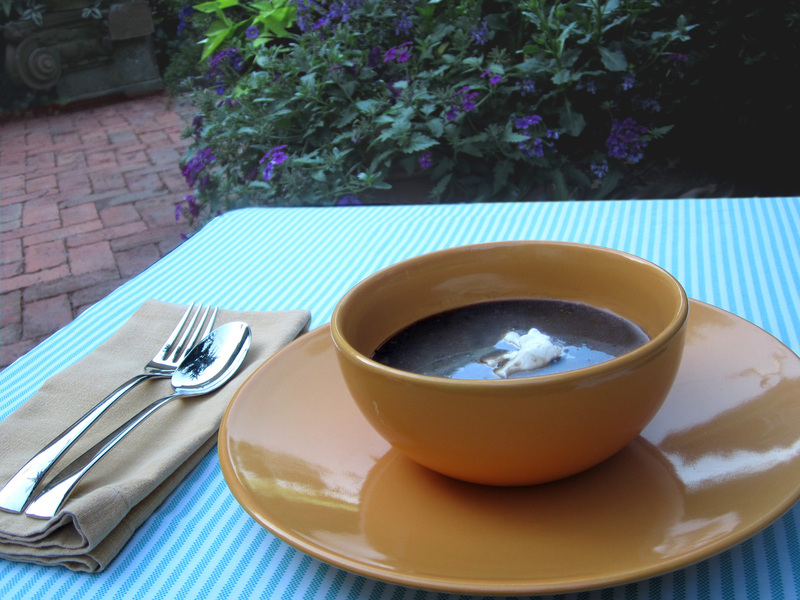 But despite all the happy noise and confusion that goes with such a crowd, the black bean soup made you sit up and take notice. It had that heady orange scent layered in, and was amazing. This one is a combination of recipes, gets points for being healthy, and is versatile. Take it in a multitude of directions: add a scoop of salsa and chopped cilantro for summertime fun, or hike up the amount of orange juice and garnish with orange peel, or do a curried sour cream, or go hearty in winter with diced, sauteed kielbasa or black forest ham. Place beans in large bowl and cover with 6 cups boiling water. Let soak 1 hour, then drain beans and set aside. 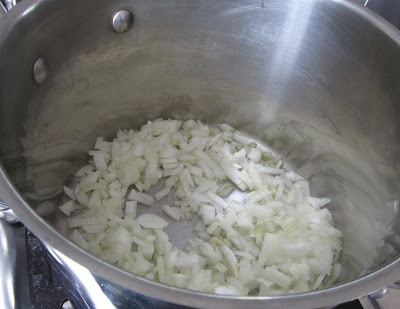 Heat oil in large stock pot, add onions and minced garlic, cook, stirring, for about 3 minutes. Add oregano, bay leaf, crushed red pepper, and cook 1 minute. Add drained beans and canned chicken stock (and the frozen homemade chicken stock cubes, if using). Bring mixture to simmer. Lower heat and cover. Simmer soup until beans are tender, about 90 minutes. Remove lid. 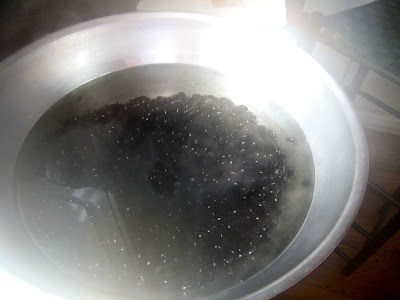 If too much liquid has evaporated, add a bit more stock (up to 1 cup). If soup seems too thin, cook, uncovered a little longer until thicker. Add orange juice and cook 1 minute more. Remove bay leaf. I like to puree about 3 cups of the soup in the food processor to give a smooth base for the rest of the beans. Taste and season soup with salt. Garnish with one of the above-mentioned toppings. Curried sour cream! I'm in!